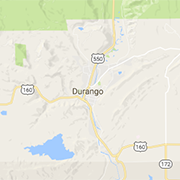 We're pleased to deliver to your location if you're within 10 miles of downtown Durango. If you're outside our delivery area, we will meet you at the Rochester Hotel at 729 East 2nd Ave. Please call 970.233.7904 if you have questions.